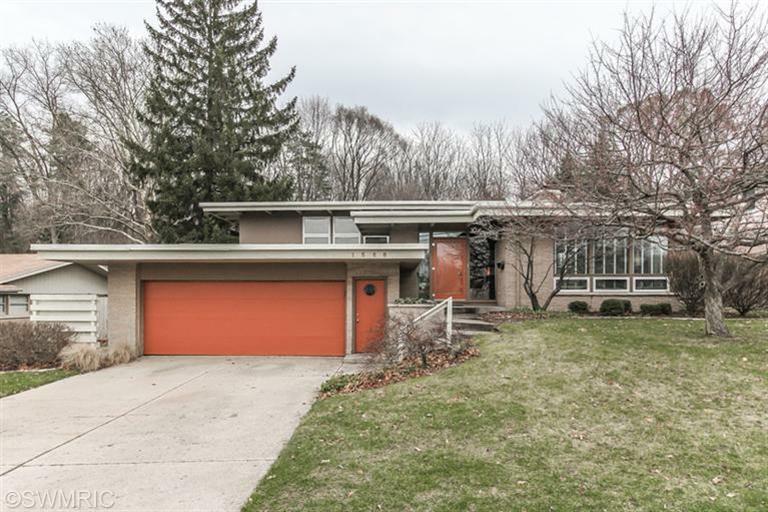 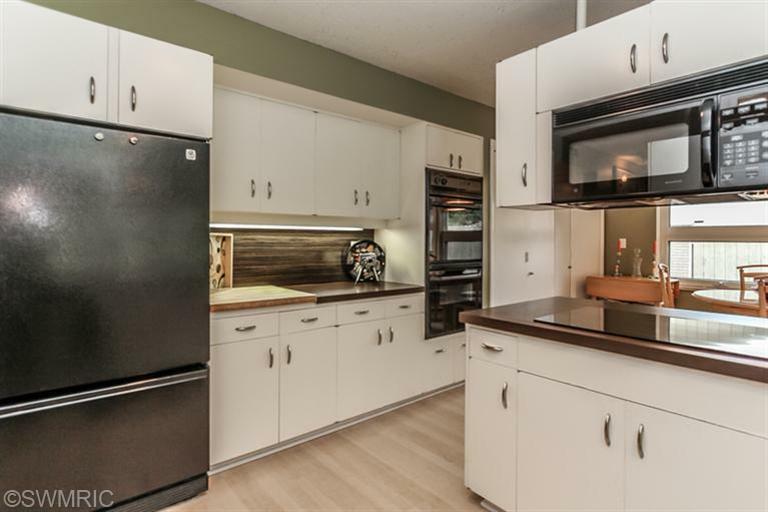 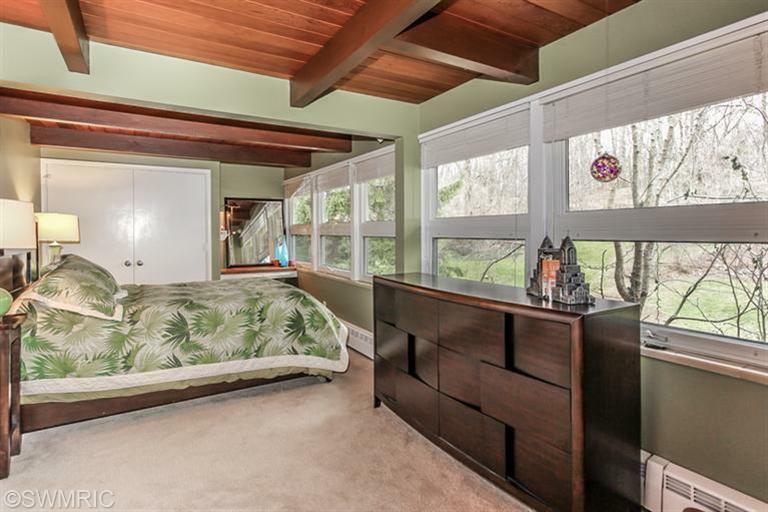 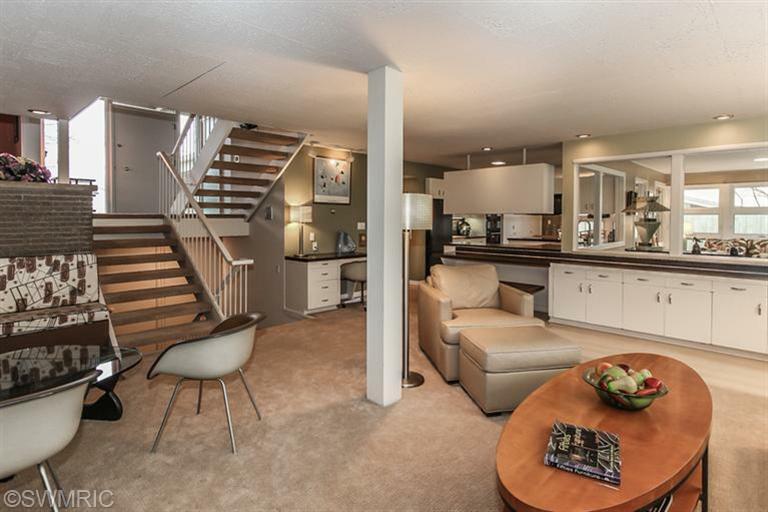 This nice Grand Rapids midcentury modern split-level is looking for new owners who will appreciate its charms as well as the current owners have seemed to. 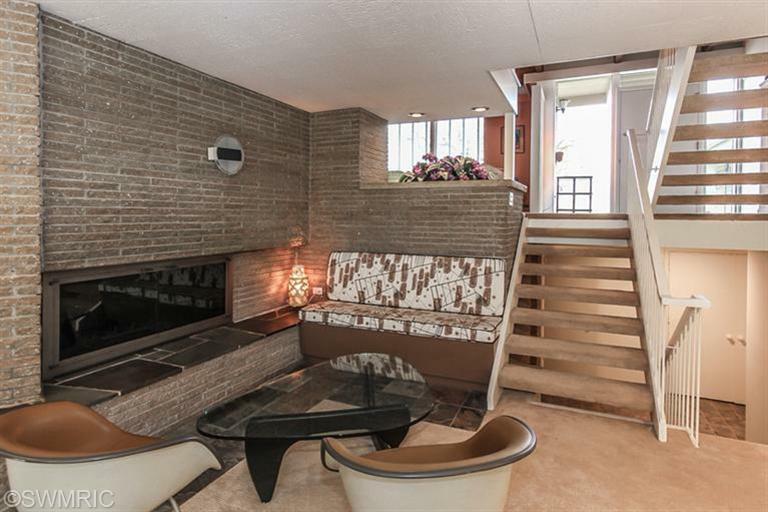 Built by James Bronkema in 1960, plenty of the original character has survived the various updates. 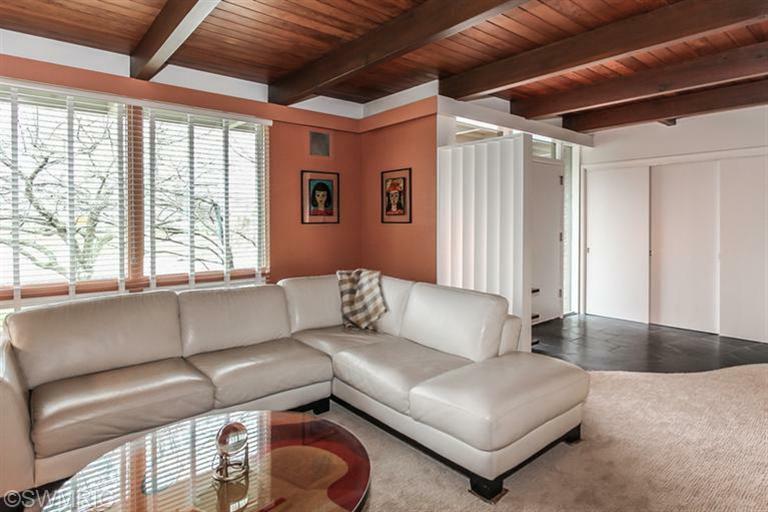 This house has a great profile, deep eaves, and nice plank and beam ceilings.